Product prices and availability are accurate as of 2019-04-07 13:22:00 EDT and are subject to change. Any price and availability information displayed on http://www.amazon.com/ at the time of purchase will apply to the purchase of this product. 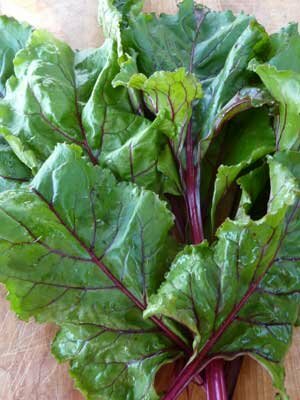 This is truly one of the best varieties for Organic greens. Whereas the other great variety for greens has magenta leaves these are emerald green. Tops are fast growing, sweet, flavorful and grow upwards of 18".